Mmm, the delicious aroma of coffee, cocoa, nutmeg and…civet cat? 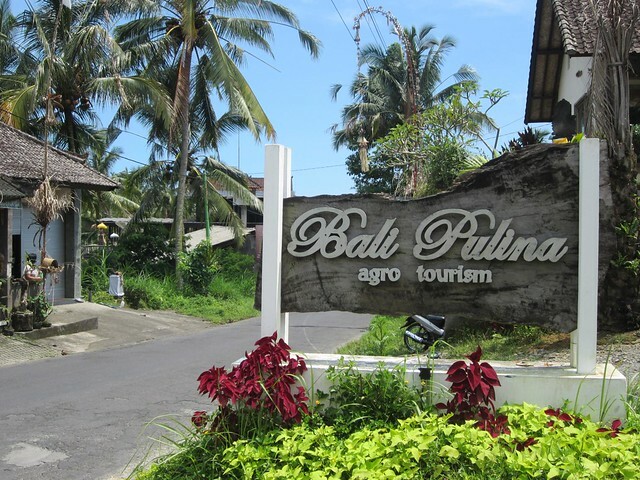 These are just a few of the many things you will encounter at Bali Pulina. Located about 5 minutes north (it’s on the left) of the famed Tegallalang rice terraces on Jalan Raya Tegallalang, Bali Pulina describes itself as “agro tourism” and allows the visitor to learn about and take part in the coffee, chocolate and spice preparation process. Caroline and I are huge coffee drinkers (well, I suppose we are normal-sized, we just like coffee) and were excited at the chance to try Kopi Luwak, the world’s most expensive and low-production variety of coffee. Only 1,000 lbs. of Kopi Luwak make it out into the market each year which results in prices has high as $160 per pound. Upon arriving, you are greeted by a guide who takes you through the plantation until the end. 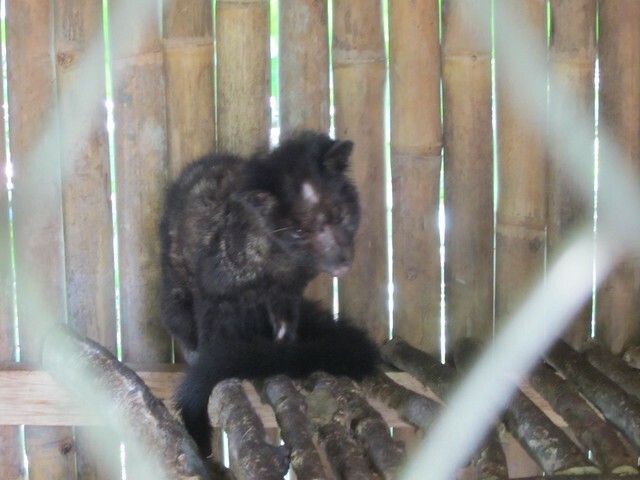 The first stop is the civet cats. These cats eat the coffee berries for the flesh, but leave the beans inside undigested. 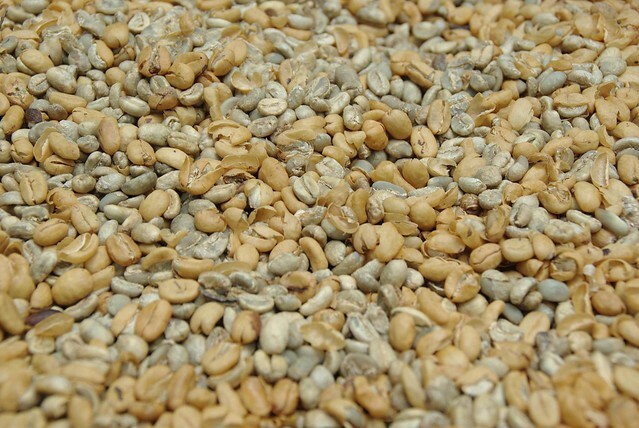 These are passed and then collected, thoroughly washed, sun-dried, roasted and ground into coffee. Guess where these beans have been? The cat’s digestive process creates a more aromatic and less bitter bean. At Bali Pulina, you can watch this entire process and even help out yourself. 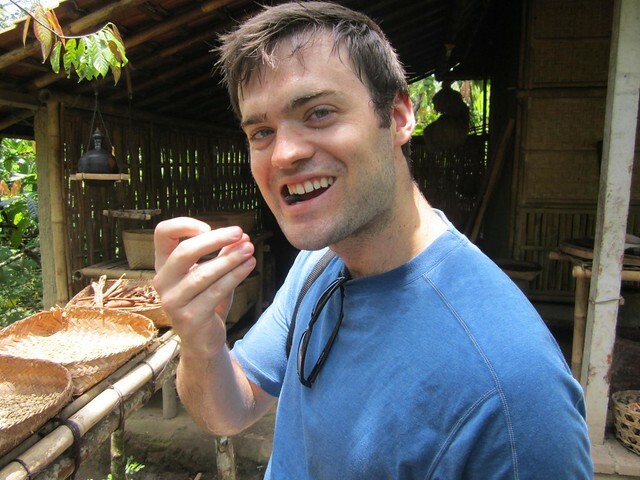 We tried raw cocoa bean, examined fresh spices, and explored the pineapple, papaya and coconut trees. And then it was time for the grand finale, the taste test. Caroline loved the lemon and ginger teas, while I enjoyed the ginger coffee and chocolate coffee. For those wanting to sample the Kopi Luwak, you may, for 50,000 IDR per cup ($5.50 USD). It only requires one tea spoon of the finely ground beans and so for a one-time taste test, this was reasonable and we decided to get one cup. Bear in mind that Bali coffee at a local warung can be as low as 8,000 IDR. Kopi Luwak is not going to change your life, but it is a delicious and aromatic cup of coffee. It smells exactly the opposite of how you would imagine coffee made from cat poop to smell. 🙂 Our guide brought us extra Bali coffee to compare side by side and it wasn’t even close, in terms of aroma or taste. It’s smooth, dark and slightly sweet. 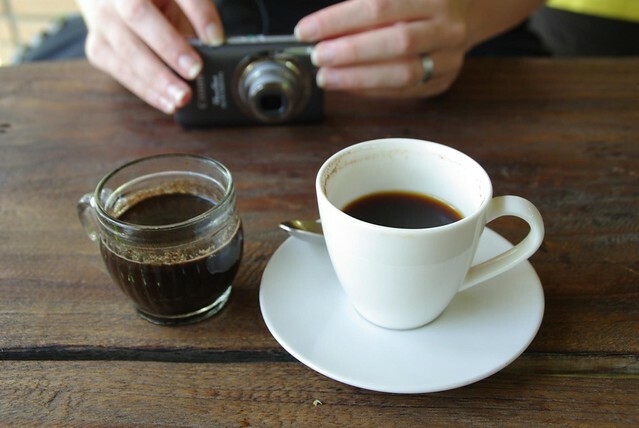 If you aren’t a coffee fan, you may not even notice the difference. The tour ends back at the shop (like all popular tours) where you can buy any of the coffee, tea, chocolate or spices you have just tasted. As the rest of the tour is free, we decided to buy some lemon tea for 110,000 IDR to support the plantation. 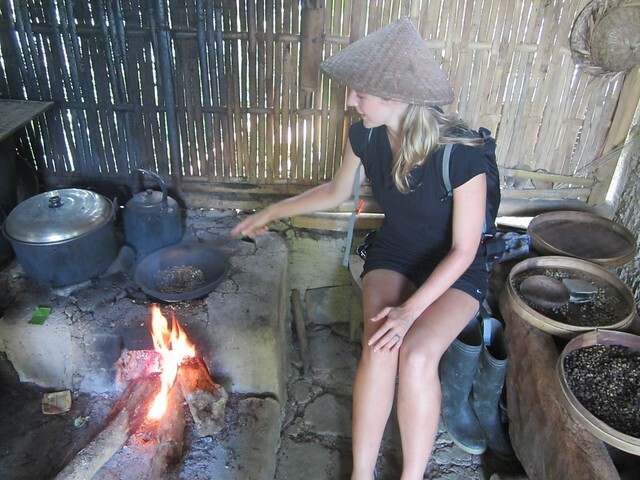 I loved the Kopi Luwak, but we are budget travelers after all. If you are at all into coffee or tea, I would highly recommend Bali Pulina if you are staying in Ubud, or day-tripping through central Bali. Thanks for this post! I was at Bali Pulina last week…got back to California yesterday and missing Bali already. I was checking to see if they had a website and found your post. I really enjoyed the tour they gave and the tasting was the icing on the cake. My favorite was the lemon tea as well! 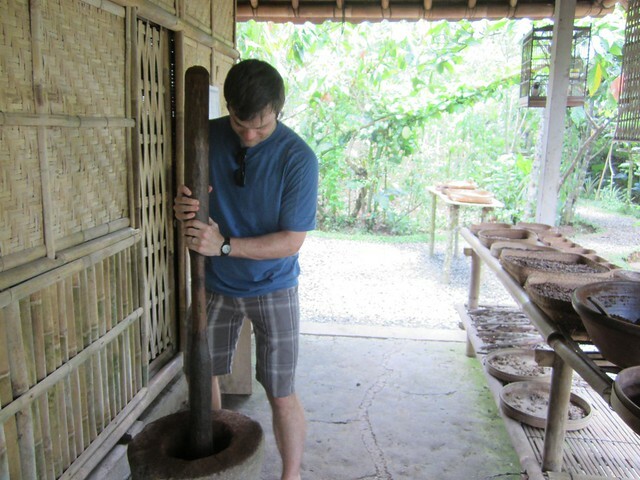 This was definitely a very cool place to visit and learn about the coffee and spice process. But yes, if you can, visit the place for yourself! It’s definitely worth it! We had such a hard time finding any information about the place, so we had to put up a post to direct people to it. Glad you enjoyed it so much! 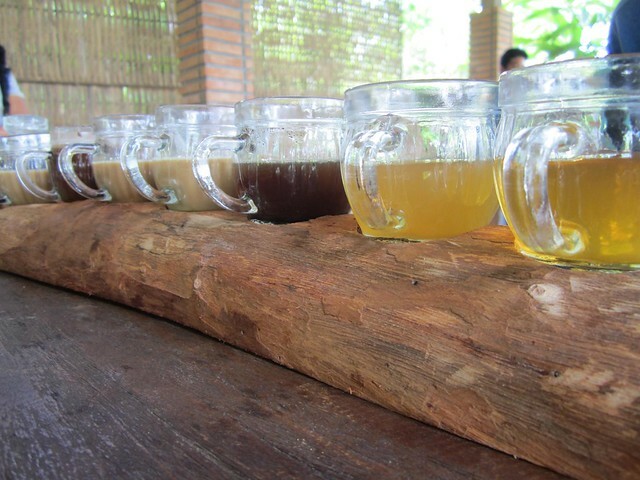 We were at Bali Purina last week and love the lemon tea, ginger tea and chocolate coffee. Bought a packet of each but now I am sorry I didn’t buy any for my friends, if you know any website where we can order, please let me know as this is another way to support the plantation, such a beatiful peaceful place and friendly people. Love it! They don’t have a website or online ordering. It would be great to order from them online! Salut Christine, malheureusement, nous ne sommes pas affiliés à Bali Pulina. Nous avons apprécié le café et le thé! Je ne crois pas qu’il soit possible de commander leurs produits à l’étranger, mais si nous trouvons une certaine manière, nous l’afficherons ici. Merci! Hi Christine, unfortunately we aren’t affiliated with Bali Pulina. We just enjoyed their coffee and tea! I don’t believe it is possible to order their products from abroad, but if we find a way, we will post it here. Thanks! I tried Kopi from Vietnam it was called Weasel Kopi Luwak and it was delicious, really smoth. Now I want to get Kopi Luwak from Bali. Mayby somone could help how to order this product ?? 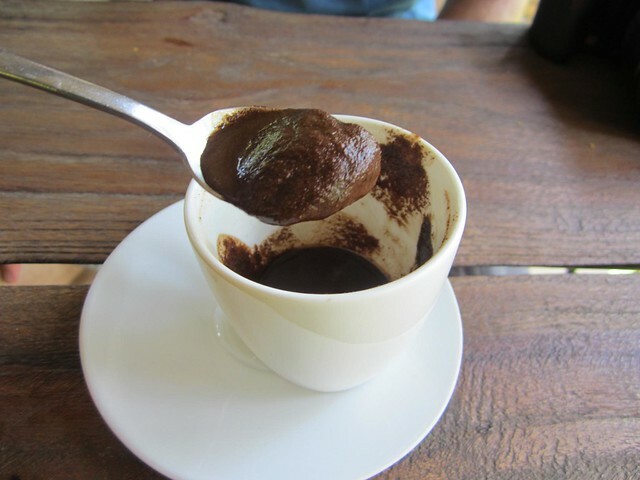 Can somone give me advice how to obtain this coffee from Bali ? I was in Bali recently and went to the Bali Pulina coffee plantation and purchased the Ginger Tea. Absolutely loved it. But I now have none left and would like to know how I can purchase some more. My brother also purchased the chocolate coffee and would like more of this. Could someone please let me know.